Ask someone on Wall Street how the U.S. economy is doing and the response is likely to be "pretty good." Ask someone on Main Street and they will probably tell you it's crummy. 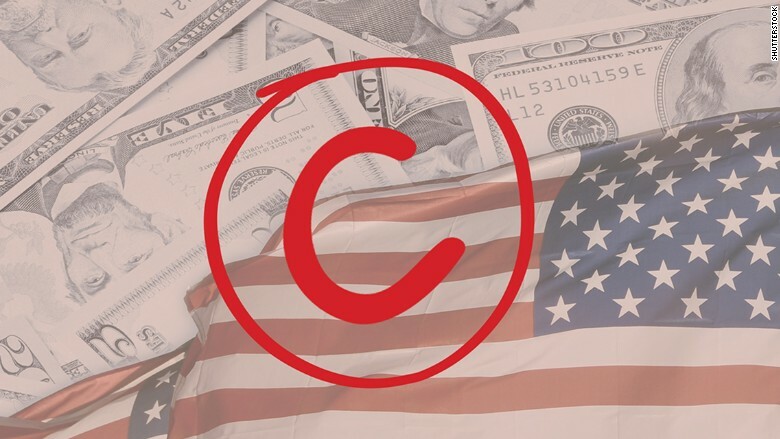 In a new CNNMoney/E*Trade survey of Americans who have at least $10,000 in an online trading account, over half (52%) gave the U.S. economy as a "C" grade. Another 15% rated the economy a "D" or "F."
There's a vast gap between how Wall Street and Main Street view America right now. Marianne Lake, chief financial officer of JPMorgan Chase (JPM), described the economy like this last week: "We have the belief that the U.S. economy is continuing to move in the right direction, that the consumer is on solid footing." Compare that to what Jaynee Weiss who lives near Tacoma, Washington, thinks. "Who isn't worried about the economy?" Weiss told CNNMoney. "After all, prior to 2007, most of us could say that we didn't know anyone (closely, at least) who had been laid off. That all changed with the layoffs in 2008 to 2010." People aren't just worried about how the economy will fare during the next few months, they're concerned about whether their kids will be able to make it. Americans have a reputation for being optimistic, but over half believe the next generation will be worse off financially, according to the CNNMoney/E*Trade poll. "I watch our four children, all college graduates, in their jobs and worry about their future," Weiss says. Weiss will soon turn 60 and her husband is about to have his 62nd birthday. They both lost their jobs in the Great Recession. They have found new ones, but the pay isn't as good. 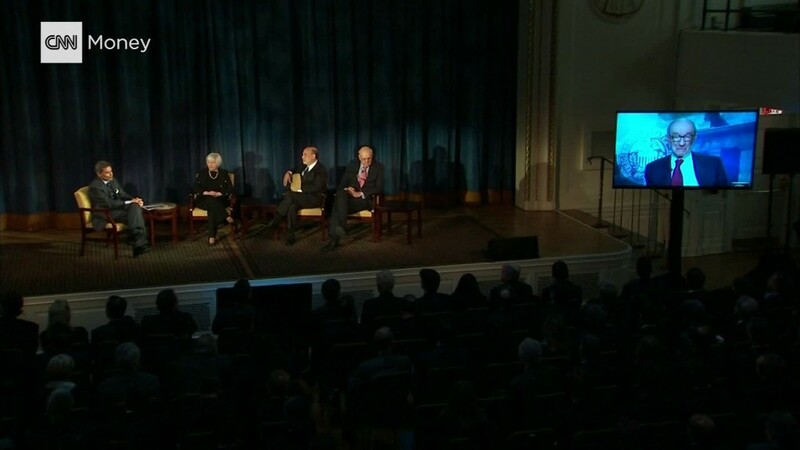 "Our lives have changed drastically," says Weiss. "We have seen years with little to no raises, yet our health care premiums continue to rise." The "economic angst" has caused some voters to gravitate toward Donald Trump and Bernie Sanders and their promises of big changes to "the system." Weiss isn't sure what she'll do on Election Day. She usually votes Republican. She likes what John Kasich says, but she doesn't think he'll win. She admits that some of what Trump says appeals, but she's not sure she could vote for him. The stock market has surged about 200% since the depths of the Great Recession. The big party days embodied in films like the "Wolf of Wall Street" are gone, but the average bonus was still $146,200. Big banks have struggled to make as much money off of trading as they once did, but they have been able to make up for it by expanding their services to Main Street -- services such as investing people's money for them and making loans. Meanwhile, Main Street hasn't been able to bounce back nearly as fast. The median family income in the United States is about the same today as it was 20 years ago, once you adjust for inflation. While some people's incomes are going up, the middle continues to struggle. The Labor Department predicts that of the 10 jobs likely to grow the fastest in the next decade, half pay less than $25,000 a year.